1979-1982: Learns his trade working for Colin Aldridge Racing. 1983-1984: Works for Jim Wells Performance tuning shop and acts as race mechanic for Mark Salle, Jim Wells and Kevin Wretton. 1985-1986: Ray Swann’s race mechanic. 1987: Joins Honda Britain as mechanic for Joey Dunlop. Also works for Fred Merkel. 1988: Works with Anders Andersson in the Formula 1 world championship, Gustav Reiner in 500cc GPs and Ray Swann in the Kawasaki UK team. 1989: Chief mechanic for Steve Hislop with Honda UK. 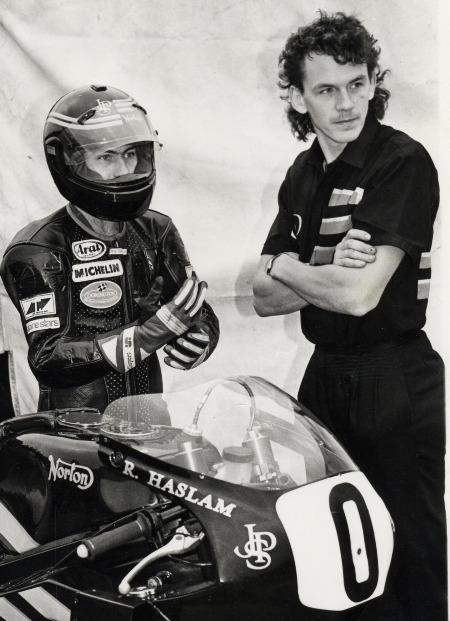 1990: Joins JPS Norton as mechanic for Ron Haslam, Robert Dunlop and Steve Spray. Spanners for Nick Jefferies at the TT as part of the Loctite Yamaha squad. 1991: Chief mechanic for Ron Haslam on the JPS Norton in British Superbikes. 1992: Responsible for Steve Hislop’s 250, 400 and 600 engines and also works with Terry Rymer in World Superbikes. 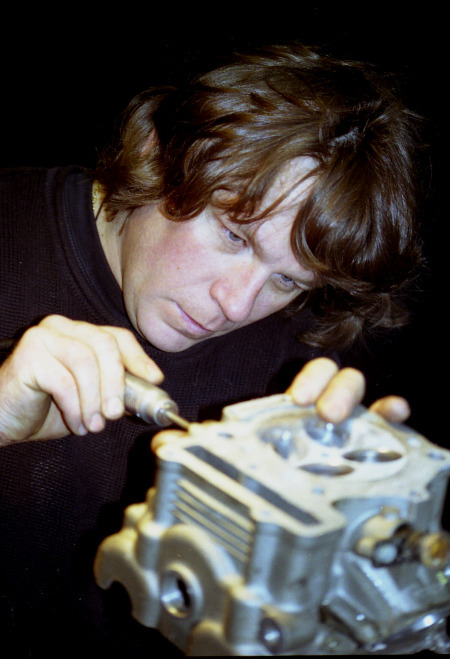 1993: Chief mechanic for the Ducati WSB team. First year working with Carl Fogarty. 1994: Helps Foggy to his first WSB title. 1995: With Slick’s help, Foggy dominates WSB for a second season. 1996: Moves to Castrol Honda along with Foggy but is sacked mid-season for ‘not fitting in.’ Joins Nick Morgan racing and prepares Dave Molyneux’s Sidecar for the TT. 1997: Back as chief mechanic at Ducati, Slick helps Foggy to runner-up spot in WSB. 1998: A third WSB title with Foggy and Ducati. 1999: A record fourth and final crown with Carl Fogarty caps Bass’ career in WSB - to date. 2000: Works with Michael Rutter in the UK. 2001: Goes Stateside to work with Scott Russell and Steve Rapp on 996 Ducatis but Russell suffers career-ending injuries after crashing at Daytona. 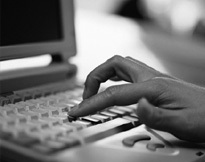 2002: Establishes ‘Slick! Performance’ on the Isle of Man and continues to build race engines. 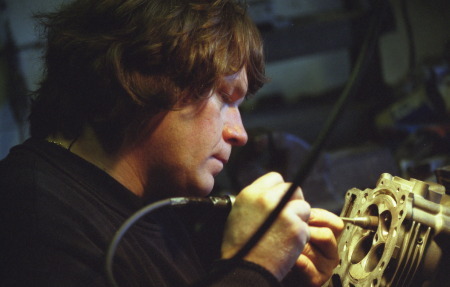 In the 1990s, Slick Bass was the most famous - some would say infamous - mechanic in bike racing. 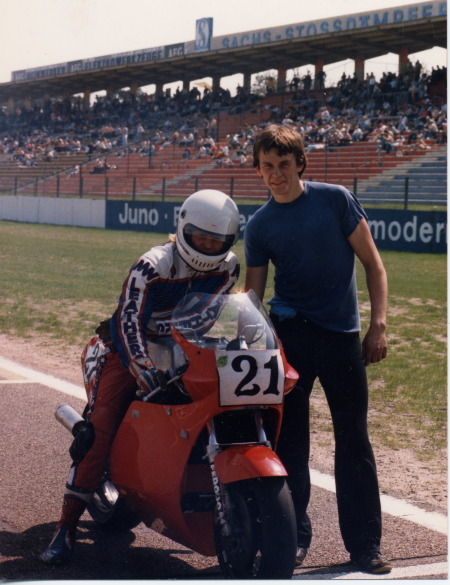 As Carl Fogarty’s trusted right-hand man, he prepared the bikes that took the Blackburn Bullet to four World Superbike titles and became a star in his own right. Fogarty failed to win the title on the Honda. How much of that was down to Slick’s absence is anyone’s guess, but there are many classic examples of riders and chief mechanics forming interdependent partnerships over the years; Erv Kanemoto and Freddie Spencer, Kel Carruthers and Kenny Roberts and, most recently, Jeremy Burgess and Valentino Rossi. Bass and Fogarty were no exception and when the duo teamed up again, two more world titles would follow. It seemed more than a coincidence. Slick has never looked back. It was while staying at Hislop’s house on the Isle of Man that Bass took a call from Jeremy Burgess offering him a job working with Mick Doohan in Grands Prix. Bass was thrilled and accepted immediately but when Eddie Lawson left the Rothmans Honda GP team, HRC found themselves with an excess of mechanics and Slick was no longer required. It was the closest he would get to a top seat in the world’s premier racing class. After Fogarty suffered career-ending injuries in 2000, Bass went to America to work with Scott Russell. That ended prematurely when the American also suffered career-ending injuries at Daytona. After that, Bass moved full-time to the Isle of Man, primarily because his mother lived there and he had ‘nowhere else to go.’ In 2002, he opened up his own tuning business ‘Slick! Performance’ which he still runs today. He prepares race bikes and Sidecars for both TT and short circuit riders but will also help road riders boost their machines’ performance. 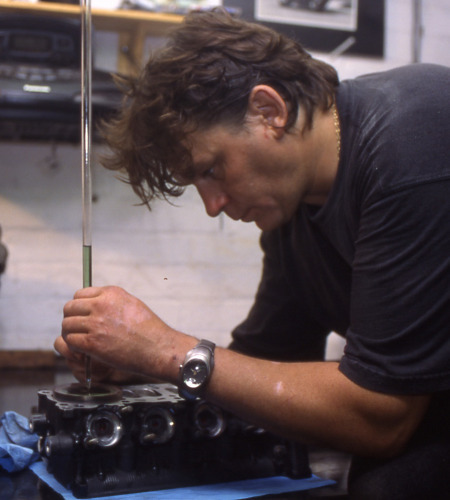 After all, how cool would it be to tell your mates down the pub that Carl Fogarty’s mechanic worked on your bike?